Wow.. 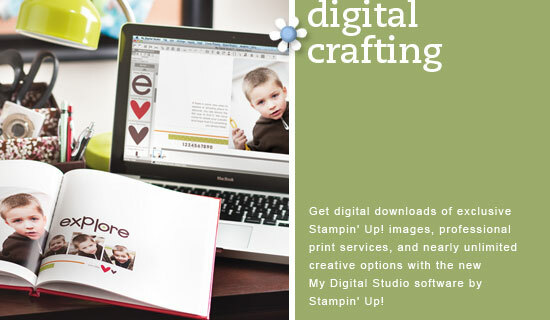 I can barely contain my excitement with what's in store with the Sale-a-bration promotion from Stampin'Up! this month and next... not only do customers benefit galore, but if you are a customer who spends at least $150.00 in stamps.... Stampin'Up! 's got a deal for you that you can't pass up. All new people who sign up to be a demonstrator in the month of February will get a starter kit that is worth $330.00 for only $159.00!!!! It is usually $199.00, but as a bonus this promotion SU is offering another 20% off!!!! Ok, that was so exciting to me that I had to sign on a new friend who is now purchasing stamps and accessories from me on a regular basis. The way I see it... is.... if I can spend 10.00 a day on lunch.... that makes 600.00 a quarter... do the math... I only need 300.00 a quarter to keep myself active as a demonstrator... that means only 5.00 a day need go in my savings tin.... that is, of course, If I'm the only one customer I have... ha ha!! $5.00 a day.... that's nothing these days!!! I can do that!!! And that way I don't feel the pinch so much on my wallet. How about you??? Are you interested... write to me... I'd love to have my downline grow and what a better time... I have another interested friend and If she signs up... well them, I'm one recruit short of becoming a manager... I never dreamed I'd get there, but we have lots of fun even if we don't see each other that much... we certainly keep close phone and email contact.